The future of mobility requires sustainability and comfort. Gehring presented its advanced technology solutions for reducing CO2 emissions at a recent technical forum in Querétaro, Mexico. Farmington Hills, Michigan. The future development impetus of the internal combustion engine will focus on the reduction of emissions. This is dependent on fuel consumption, which in turn is determined by the internal engine friction. The goal of form honing is a form optimized cylinder bore under operating conditions. Abraham Pizano, Managing Director Gehring-Mexico, presented Gehring’s CO2 emissions reducing technology solutions at a recent technical forum CO2 in Mexico to an audience of leading technical and business professionals, from a wide variety of industries, including automotive, aerospace and industrial. The conference is one of the region’s top technical events for manufacturing, featuring the latest in global manufacturing trends, including processes, applications, materials and advanced techniques. Gehring developed a surface finishing process for ICE’s which does not target a cylindrical bore shape. The bore shape is based on the distortions of the geometry under operating conditions of the engine. Through the means of form honing the reverse shape will be produced so that in running conditions, a cylindrical shape exists. The deformation in the operating condition depends on static assembly distortions and thermal cylinder distortions. This technology can be subdivided into two process variations, form honing light and form honing professional. Form honing light simulates thermal distortion by creating different tapered shapes. The thermal expansion due to the higher taper in the top dead center leads to a cylinder bore which has to be honed to a smaller size at the top and a larger size at the bottom. Thus, the piston shirt has less contact with the bore. This results in significantly less friction. 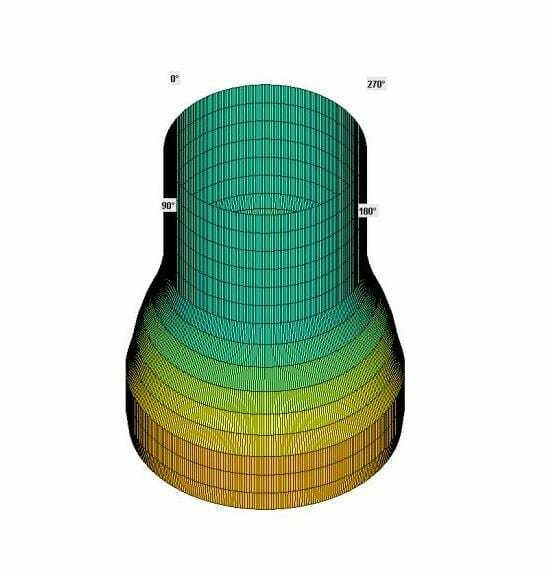 The conical shape is generated by feedback controlled stroke displacement with higher stock removal in the lower bore section due to increased contact time of the abrasives. The dynamic electro-mechanical feeding changes the radial expansion position of the honing stones during the stroke movement according to the form and improves herewith the previous conical shape. These process components assure the reliable process of round non-cylindrical tapered bores within the known cycle times. Form honing has been already integrated globally into mass production scenarios. Application of form honing light technology has shown that significant improvements in emissions reductions are possible. Form honing professional not only optimizes the local piston clearance, but also compensates for cylinder deviations from static and thermal distortions. That means that in running conditions round and straight bores can be achieved. Ring tension is reduced which results in adaptive friction and C02 reductions. The non-cylindrical shape deviations can be defined through CAE assessments or torque plate bracing and tempering. In order to be able to implement form honing professional, innovative processing hardware like special honing tools with independent actuated abrasives, a piezo feeding system, a shape adaptive control and a spring loaded finish honing tool, is necessary. The shape data for the cylindrical deviations will be converted for every single cylinder of the engine using the form honing control. This dynamic process interaction between the feeding system, shape and the form honing tooling creates an optimal result. Form honing professional has been implemented by customers for small production batch scenarios. The process produces cylinder deviations and surface finish profiles with high reproducibility and economical processing times. The process delivers free shapes and surface profiles with high reproducibility to conditions that still conform to cycle times. 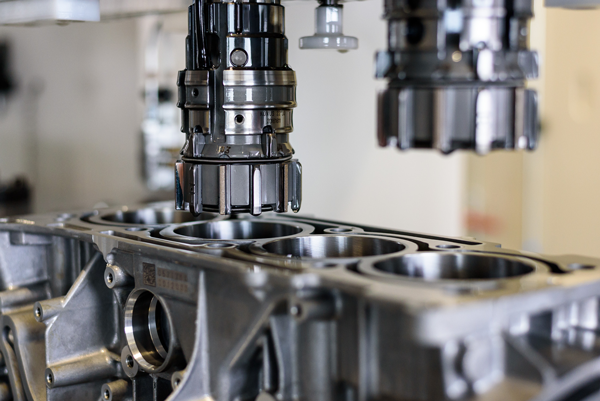 The advantages of form honing have been recognized by engine manufacturers and have been implemented in numerous production lines on Gehring honing machines worldwide. Further series applications are in preparation. For more than 90 years, Gehring has been the leader in the domain of honing technology, supplying cutting-edge surface finish technology solutions for internal combustion engines, gears and numerous other industrial applications. As a global technology leader, the company is represented internationally in key markets in the automotive and supplier industries, hydraulics and pneumatics, as well as aerospace sector. The Gehring product portfolio ranges from individual honing stones to honing tools as well as gauging and automation solutions right up to integrated honing systems. Digital applications, services and innovative technologies in the areas of honing, laser structuring, roughening and coating complete the portfolio. With standalone made-to-measure solutions for stator prototype development and small-scale series production, as well as fully automated new system solutions for electric motor production lines, copperING‘s product portfolio complements that of its new partner Gehring. The Gehring group therefore offers the full gamut of technologies for vehicle drives – from conventional solutions to hybrid technologies and even integral electrification. The Gehring Group with approx. 800 employees, is headquartered in Ostfildern, Germany, and has additional locations in Naumburg and Wernigerode, Germany, as well as in the USA, China, India, Italy, UK, France, Brazil and Mexico. Note to editor: Information in this article was derived from the presentation given by Gerhard Flores at AGMA’s Fall Technical Meeting between September 24th and 26th in Chicago. Gerhard Flores discusses the need for flat and curved surfaces with the functionality of high static friction for force-fitted nonslip power transmissions. This need is especially true for con rod and cam structuring for high torque resistance or front face connections of sprockets, gears or cam shaft adjustments. He details that expensive solutions like diamond layers, coatings or form fitting design are being substituted. Instead, innovative manufacturing is now performed by a modified laser process with defined exposed micro structures. The prerequisite for high friction is exposed micro melting burrs of smaller micrometer height with martensitic material structures. As a result, high static friction surfaces can be produced economically with repeatability of small tolerances in high-volume productions. Production of surfaces that generate static frictional connections with the counterpart are increasingly realized with a modified laser beam. The contact surfaces actuated by adherence are laid out with topographies that assure the functioning of work pieces and they can be produced in a cost-efficient way. The requirements of the connections include loads by torques and shearing forces. The system is kept is kept in a state of adhesive friction during the different operational conditions and does not allow any relative movement of the contact areas. The principal feature of the adhesive system was revealed in a stress test. In it, hardened and structured contact surfaces are loaded against non-structured and unhardened ones with an axial force of 80 kN over 60 seconds for a twist angle of 4 degrees. The course of torque was indicated as target value. The contact areas (di= 15 m, da= 30 mm) were dry and free of grease. At the junction of adhesive and sliding friction, there is a maximum of adhesive value. Using the adhesive friction bench or the functional aggregate, the effects of structure can be evaluated. Every structure that increases adhesive friction is characterized by a raised profile contour that has influence on the counter body. Next, manifold micro form profiles are produced to absorb shearing forces. Furthermore, the micro form profiles result in a frictional connection with high adhesive friction value. Due to the thermal effect of the laser beam, hardness is generated due to the short heating time. There are significant differences in the laser structured adhesive friction surfaces of cams, connecting rods, front face connections and pre-treated substrate surfaces. Cam topographies can be raised with low profile elevations and without deepening. Material melts evenly. The structure lines of connecting rods are equidistant superposed. Both cam shafts and connecting rods can absorb torque of shaft hub joints. Between the structures of front face connections, there are often deepenings caused by material transfer. Lastly, pre-treated substrate surfaces display a squamous structure with micro recesses and are suitable to join layer materials to substrates. Laser structuring of adhesive friction surfaces in rigid friction type connections can substitute positive locking design connections or other expensive friction type connections like diamond interlayers. The achievable adhesive value depends on the depth of the height, the profile shape of the laser structured roughness profile, the arrangement of the structure density, the martensitic properties of lasered materials, the normal force and whether the lubricant is embedded in the contact surfaces or not. Different connections with torsional strength have different cylindrical contact surfaces. 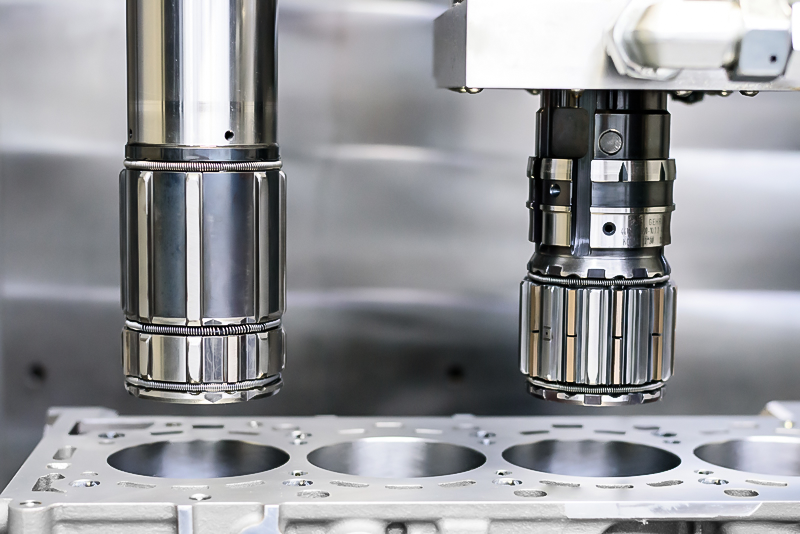 A shrinking connection with the laser structured inner surface of the cam and the shaft, enables the cost effective built cam shaft in serial production. In the case of the clamping connection shaft and the hub, the laser structured contact surfaces are engaged by clamping. This replaces the costly alternative of positive connections. In this way, pin or fitting connections can be replaced by friction type contact surfaces with high adhesive friction generated by the laser structured process. Another category is the frictional connections of plain functional surfaces for the transmission of shearing forces of torques. The laser structured front surface, often designed with an alignment element replaces cost-intensive solutions like form-locked joint coupling with frontal tooling or inserted diamond or SiC interlayers as slices for the increase of the friction value. Applications related to the combustion engine like pinion, cam shaft adjuster, ball bearing or related to the chassis frame are becoming frequently demanded alternatives to the expensive solutions with slices and interlayers. Laser structuring of the connecting rods is realized by means of the crank pin, which joins the connecting rod and the crankshaft. The design of the bearing consists of the rod eye, the bearing shell and the crank pin of the crankshaft. There is a rotational relative movement between the crank pin and the inner side of the bearing shell. The joint is laid out as a sliding bearing and works with low friction. However, there is no movement allowed between the outer side of the bearing shell and the connecting rod bore. Here, a sufficient high adhesion is required to absorb the frictions within the sliding bearing. Next, a frictional connection is necessary to deliver the suitable torque strength by means of the elevated topography of the connecting rod and the resulting adhesion. For the process of laser structuring, a solid body laser with scanning optics is used. The two beam sources are arranged above the connecting rod eye laterally, the connecting rod bore. The beam sources work simultaneously and structure each of the two areas with the connecting rod bore. In each unit, the pulsed beam is guided by the galvanometer scanners with two galvanometer mirrors each. There is no mechanically actuated displacement or positioning of the beam and the focal movement is carried out quickly, line by line, with the highest precision and simultaneously by the movable optics of the integrated scanning heads. The laser structuring of cams takes place after the shaft and cams are machined as single parts and are assembled by thermal friction type connected processes. In order to achieve sufficient torque strength of the cams, their bores are structured for enhanced adhesion. Friction type connections are applied in several sectors of mechanical engineering and vehicle design for the transmission of shearing forces and torque. Frontal face connections with plain contact surfaces are laser structured in serial production. Cam shaft adjuster, chain pinions or gears are the focus of the central valve of Schaeffler with the cam shaft in serial production. This valuable technology reduces carbon dioxide emissions. By laser structuring of the main bearing, a high torsion strength of the bearing shell can be realized by the roughly structured areas of a cylindrical type connection as well as heat transfer by the smooth unstructured areas. 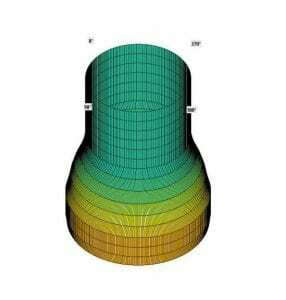 In conclusion, the advantage of laser structuring with integrated scanning is that the structuring segments on curved and plain surfaces can be freely dimensioned and positioned. In addition, the structure data and the tolerances of the different surface values can be adjusted by the beam parameter. 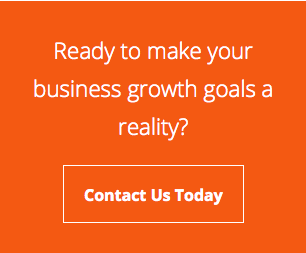 The structuring process is completely automatable and can be integrated in a production line. Laser structuring allows an increase of static friction up to 5 times. Compared with diamond interlayers, the costs and number of parts is significantly lower. 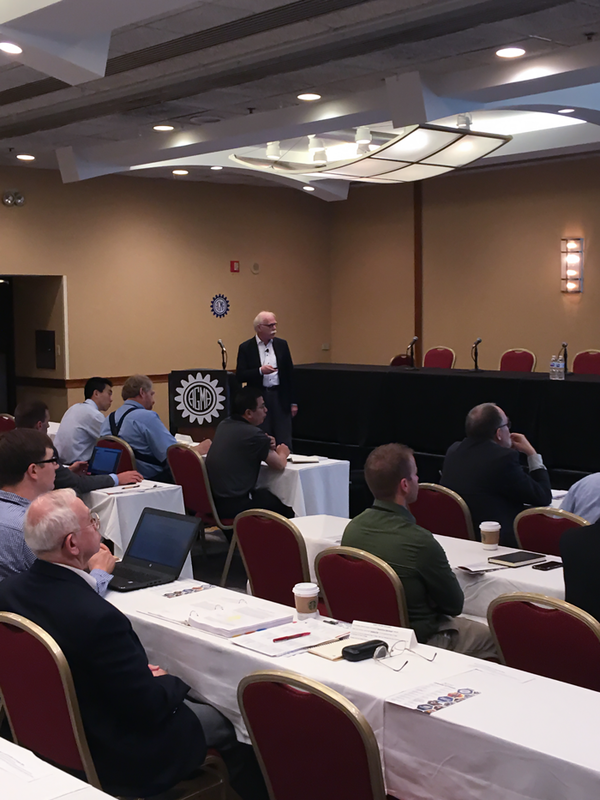 June 7, 2017 – Gehring held its 2017 Honing Conference and Workshops event on May 10-11, 2017 at the Inn of St. John’s in Plymouth, Michigan. 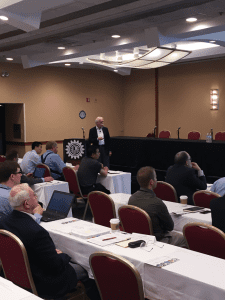 The conference and workshops brought together experts from the global industry to discuss and propose solutions to advanced manufacturing challenges in surface finish technology applications. A total of 80 attendees, most from the automotive primes and Tier One suppliers, were treated to two days of learning, networking and fun. 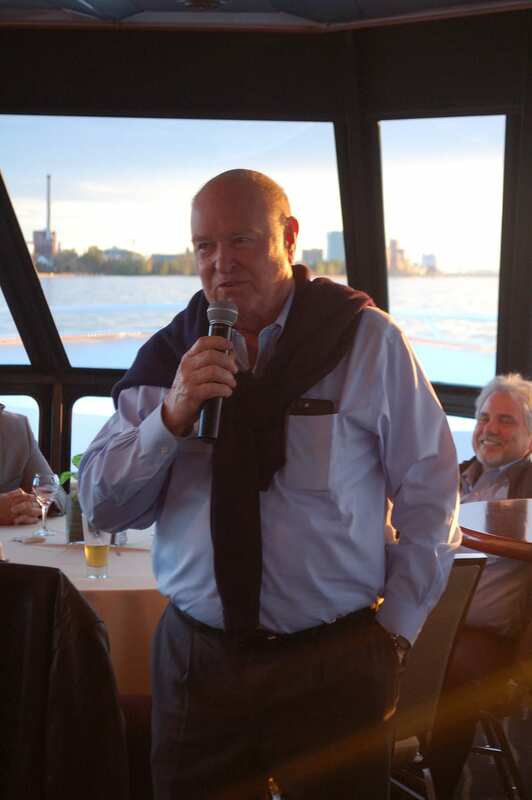 President of Gehring in the USA, Roger Cope, gave the opening remarks to kick off the event. He noted this was the 91-year anniversary of Gehring in Germany and that the company has had a manufacturing footprint in the USA for 41 years. An R&D facility in Livonia, Michigan was established several years ago to meet the demand for specialized honing process development, consulting and the rapid rise in demand for Gehring contract and prototype honing services. He further mentioned that Gehring has diversified its market focus in the last several years to include the defense sector and, in that arena, Livonia serves as an ITAR-compliant facility. The “One Gehring” theme codifies the global focus of the company, as it seeks to serve a global customer base, Cope said. Dr. Wolfram Lohse, CTO of the Gehring Group then took the floor and observed, “Part of our new business mission and focus globally is our desire to enhance customer and industry knowledge through the Gehring Academy for honing education, training, consulting and support in helping manufacturers implement and use our advanced honing technologies to their advantage, specifically to meet impending CAFE emissions regulations. 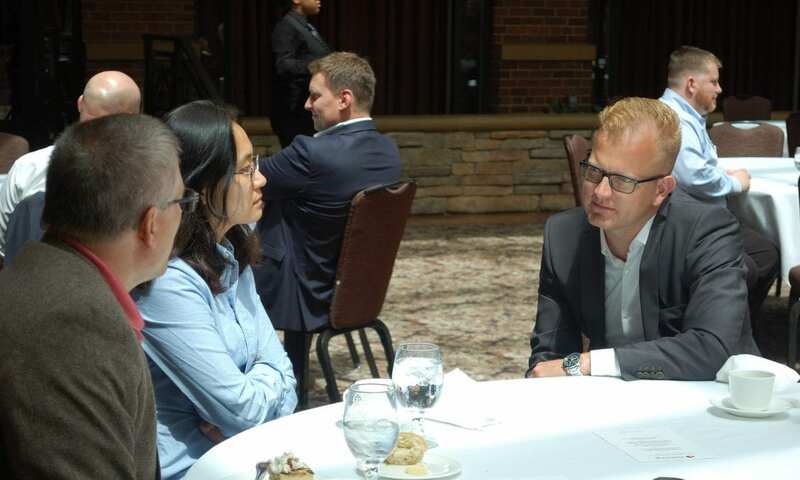 We seek a partnership focus with key clients while retaining the highest level of integrity in handling confidential projects.” He discussed the drive to sustainability – another Gehring focus for the future. Partnerships with other key market specialists at this event, such as Oerlikon Metco AG, Nanofocus and Siemens, have been developed to produce a comprehensive resource for the market, with multiple sources of expertise relevant to surface finish technology. Cope concluded his remarks by noting that Gehring is now a “one-stop shop” for all elements of the honing process – machines, tools, gauging, automation, rework, abrasives, R&D – with global support for global production platforms. 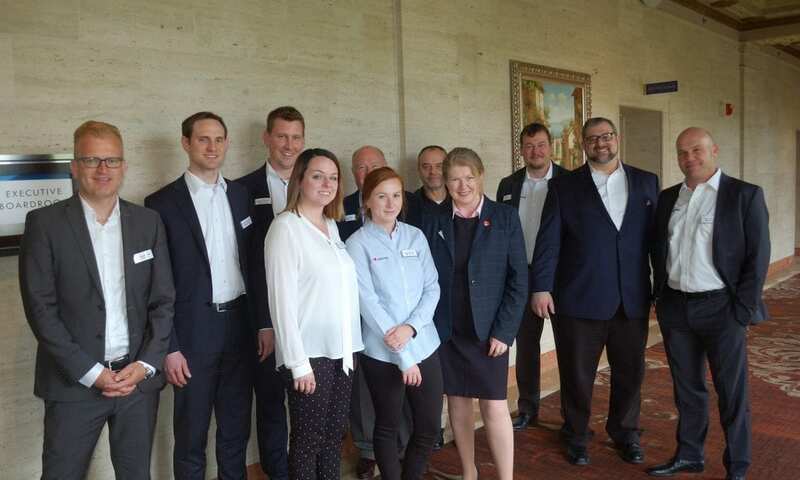 80 process and manufacturing engineering personnel responsible for surface finishing in automotive, hydraulics, aerospace & defense part applications, including plant managers, production managers and R&D specialists attended this Gehring conference. 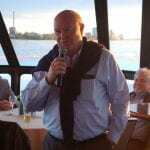 The technical program was supplemented by networking events such as the pre-conference “Infinity “chartered dinner cruise with entertainment on the Detroit River and post conference golf, all of which were enjoyed by the attendees.